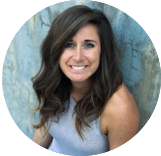 Brittni Kinney - VP, Influence & Co.
Brittni is a VP at Influence & Co. and loves discussing how content marketing can help make any marketing strategy achieve its full potential. She likes her coffee black, her whiskey straight, and traveling. The success of any outsourcing ultimately relies on your communication. Here are six steps to working with your content partners and freelancers to produce effective, high-quality media that meets your goals.